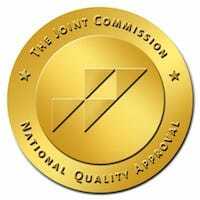 MIAMI–(BUSINESS WIRE)–Adaptive Center, a Miami-based addiction treatment center, was notified that it has earned the Gold Seal of Approval®for Behavioral Health Care Accreditation by The Joint Commission, the agency that accredits the best hospitals in the world. The Gold Seal of Approval® is a symbol of quality that reflects an organization’s capacity to provide safe and effective care. Adaptive Center is probably one of the smallest treatment centers in the healthcare field: it services only 12 clients at a time. And yet is going against big treatment centers, fueled by money, from big business and individuals attracted to possible big profits. About Adaptive Center: Adaptive Center is a JCAHO Accredited addiction treatment center in Miami, Florida. It is one of the smallest, yet most effective centers of its kind, treating less than 12 clients at a time. Adaptive Center is small by design – to provide the most intimate and effective treatment experience. To learn more about Adaptive Center, call: (888) 925-0782.